Jam City's Harry Potter: Hogwarts Mystery (Graphic: Business Wire). 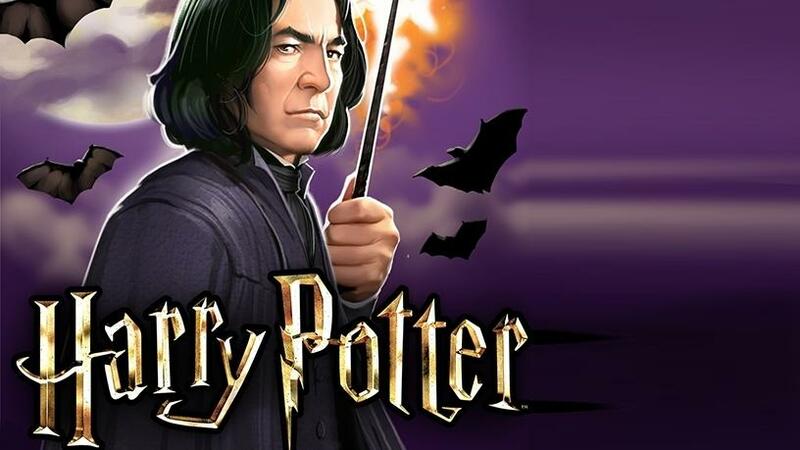 In the hit mobile game Harry Potter: Hogwarts Mystery, players are exposed to the darker side of the Wizarding World, facing many dangers during their Hogwarts education. While attending classes, players delve into an unfolding investigation of their brother's disappearance, leading them to the mysteries of the Cursed Vaults. From facing treacherous Boggarts in Year Three, to exploring the perils of the Forbidden Forest in Year Four, the Dark Arts are present amidst the safety of classes and celebrations at the venerable school.October begins in Harry Potter: Hogwarts Mystery with festive flair as students, staff and spectres prepare for the Hallowe'en feast. The Great Hall is now adorned with pumpkins and spooky decor, and the ghosts of Hogwarts - Nearly Headless Nick, the Fat Friar, the Bloody Baron, and the Grey Lady - have assembled for this highly anticipated annual event. But a shadow falls on the proceedings as a seasonal side quest begins mid-month, introducing a sinister, time sensitive twist to the story. Players will need to utilize their full arsenal of defensive spells, from Hex-Deflection to the stunning spell Stupefy, as dark forces arrive on Hogwarts' grounds upon the full moon. As this seasonal sidequest takes hold, players can also put their defensive skills to the test in a special Duelling Club event. Using the Melofors Jinx, players will be able to temporarily transform their opponents' heads into a pumpkin, bringing autumn flavor to this recurring in-game event. "This October, we're exploring the darker side of Hogwarts," said Josh Yguado, Jam City President and COO. "From the Hallowe'en feast in the Great Hall, to our in-game events and side quests, players will have the chance to experience a full month of October festivities, ranging from fun to fearsome."